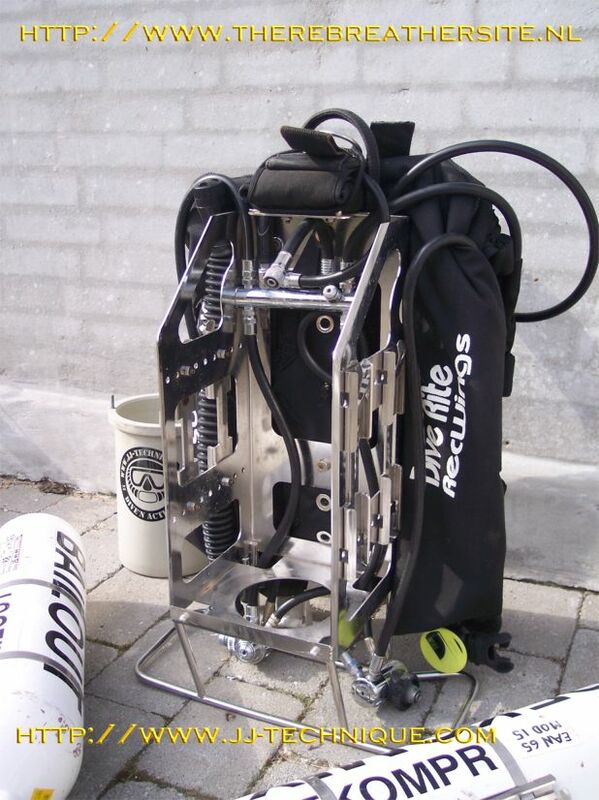 Diving the Inspiration to greater depths brings the problem of gas management. 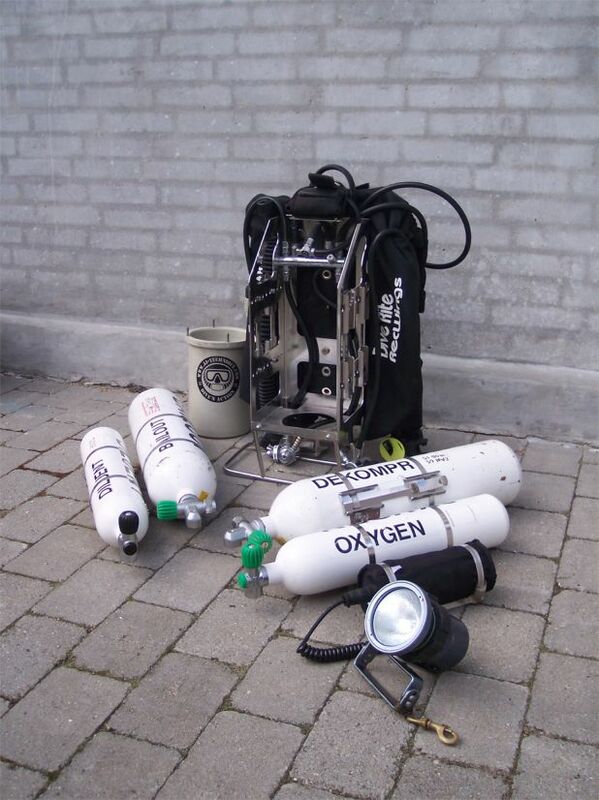 Extra bottles are needed for deeper dives. 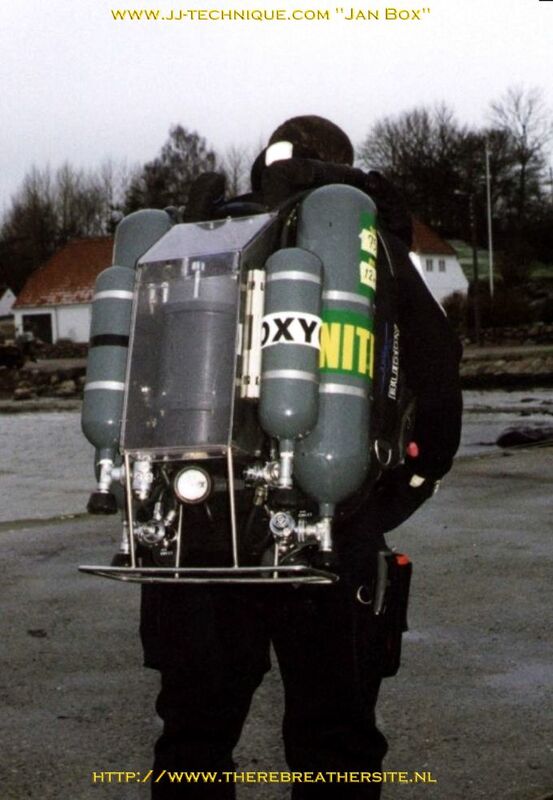 This is why the Normoxic and Trimix Inspiration divers take side bottles. 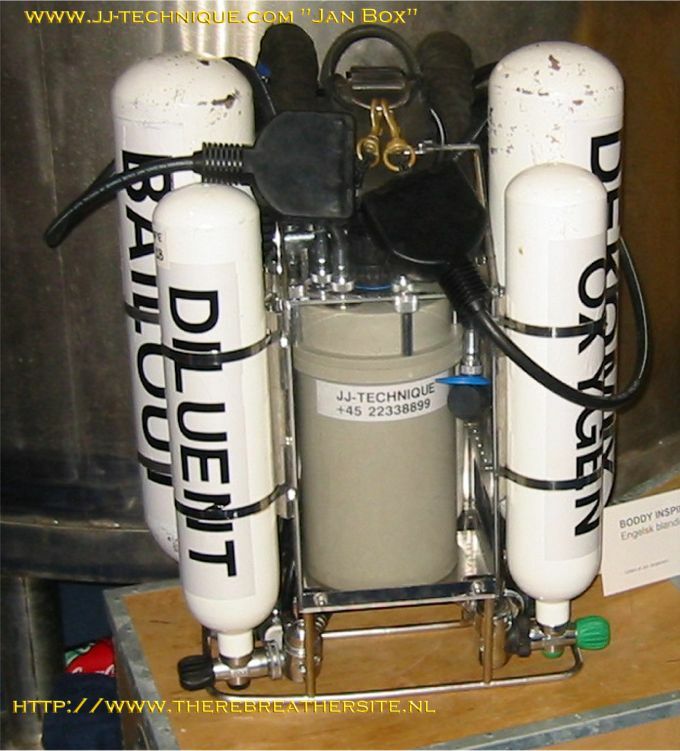 This bottles are filled with a gas for leaving the bottom to reach a decompression depth. 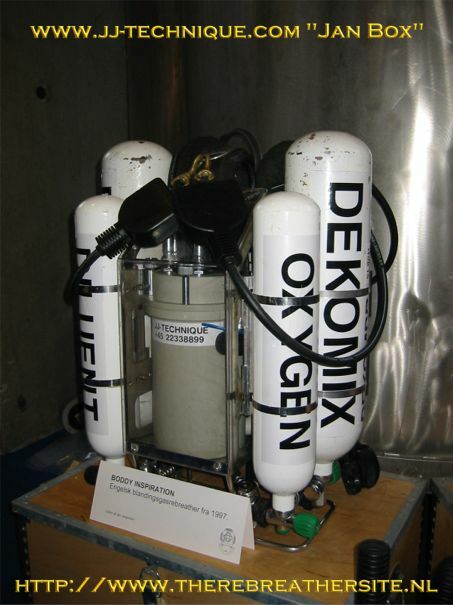 Then there is a switch to the other gas in the second side bottle. Taking these side bottles is a rather heavy job and people started looking for other solutions. 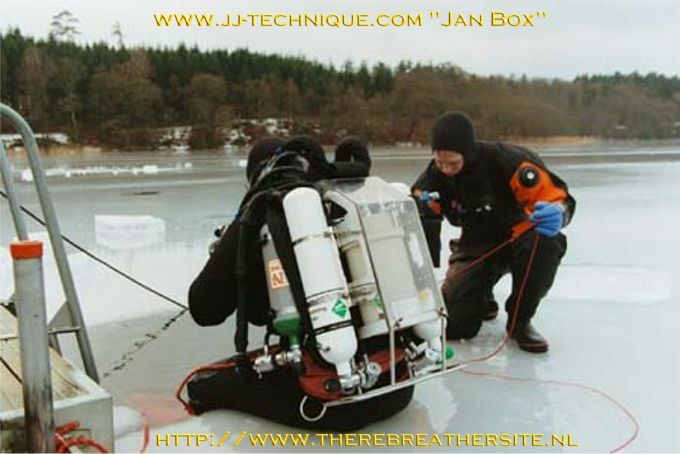 One of them was found in the construction by Jan Jørgenson called the "JAN BOX". 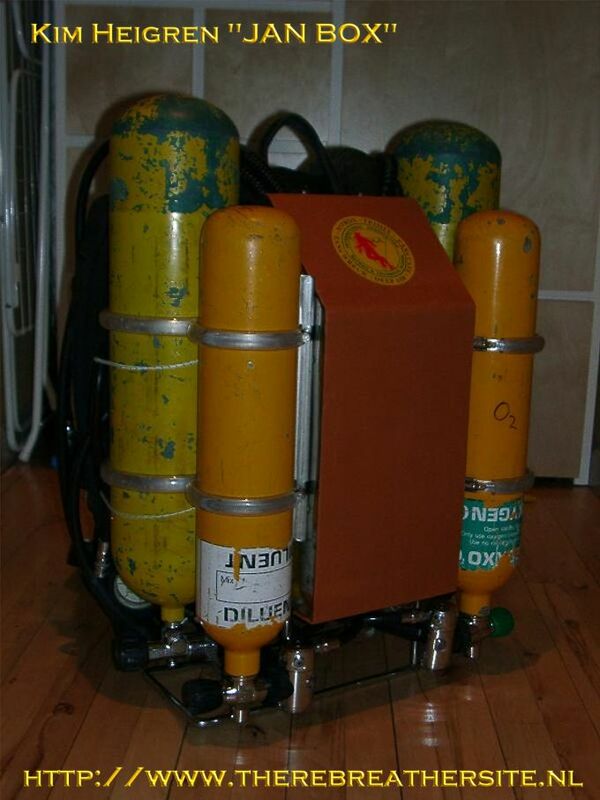 It consists of a frame with the possibility to mount the bailout gas and the deco gas in one frame carried on the back. 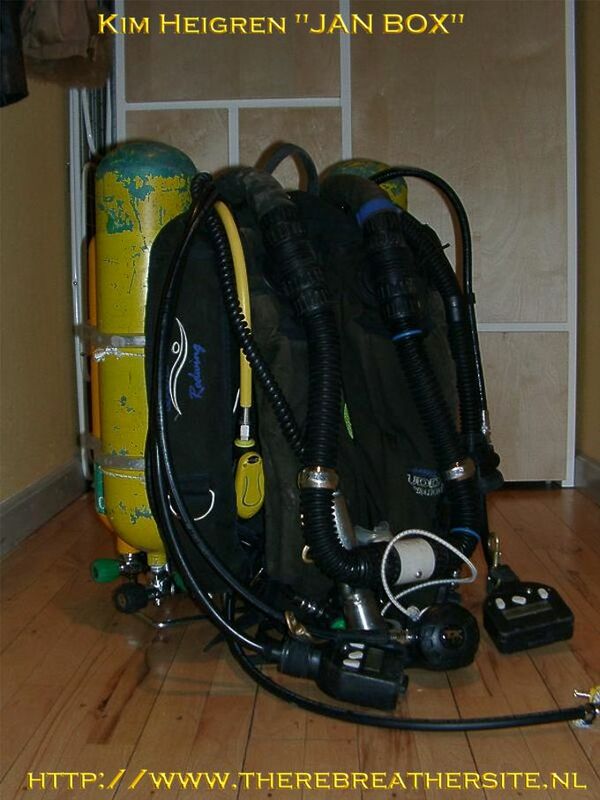 Kim Heigren dives his rebreather in this way and sent me some pictures of his configuration. 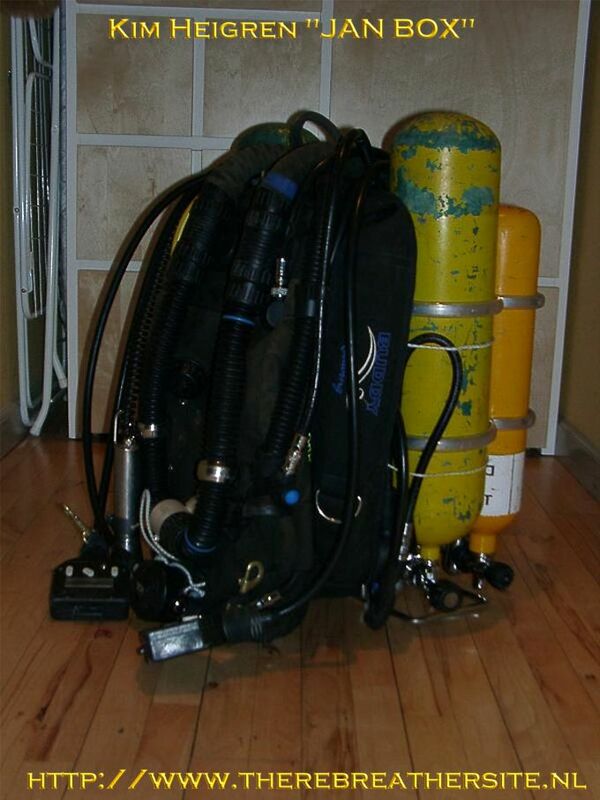 He carries a 3 liter diluent cylinder and Bottom mix 7 ltr TX 16/52 on the left, and pure oxygen with EAN 50 on the right. 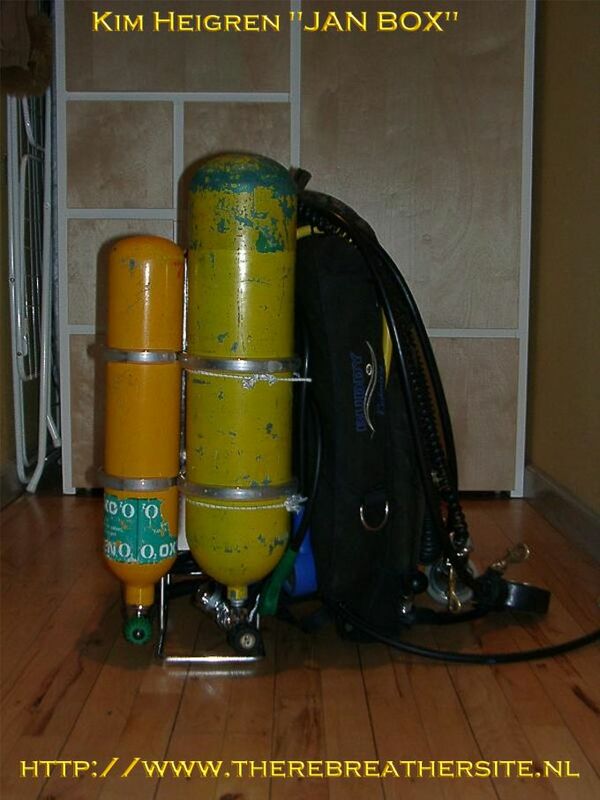 Also he prepared hoses to connect the bailout cylinders to the counter lungs to achieve an SCR possibility. 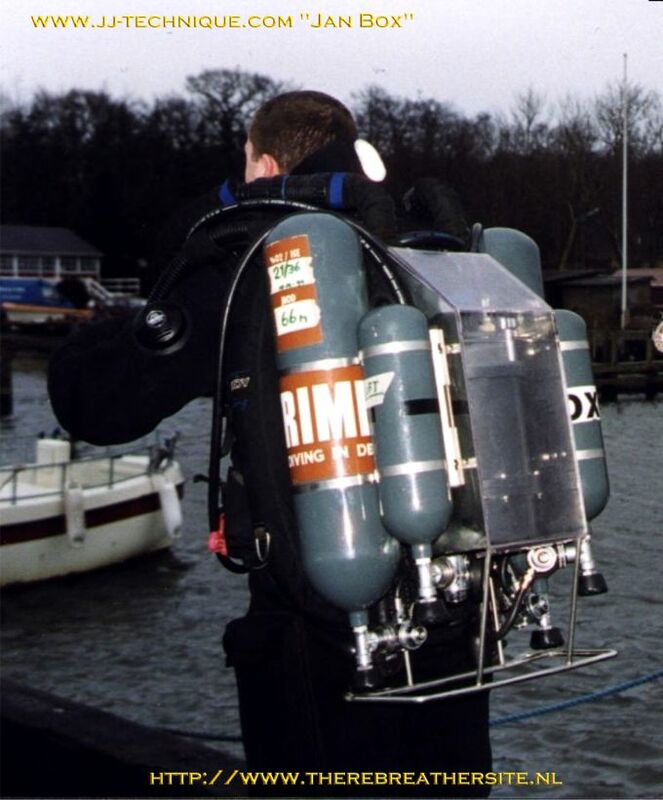 Both first stages of the 3 litres are equipped with an overpressure valve. Now there is a second series of photos provided by Thomas Larsen of jj-technique. Kim, thanks for your pictures. Next pictures were sent to me by Thomas Larsen of JJ-Technique. And here are some additional pictures I received from JJ Technique, thanks guys!